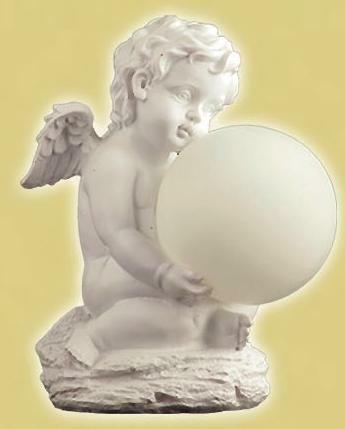 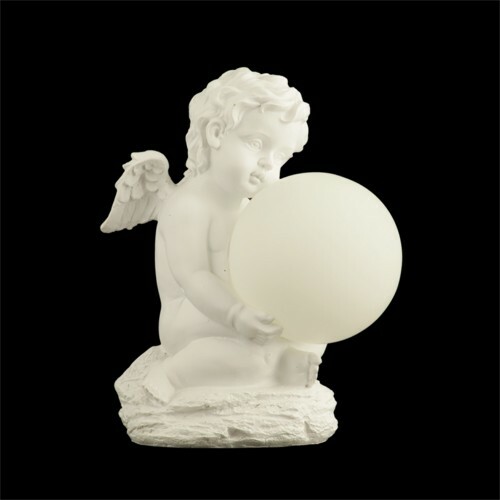 Add a dash of magic to any outdoor setting with this solar cherub with color changing globe, powered by the sun this solar angel hold an opaque globe that illuminates and cycles through a shimmering spectrum of light at night. 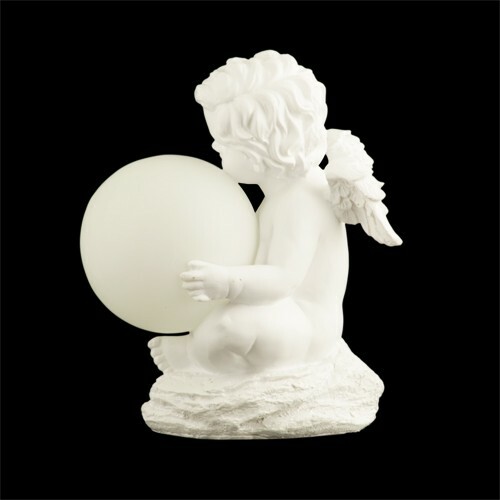 This solar cherub statue is made of poly resin with an antique vintage finish and is weather and water resistant. 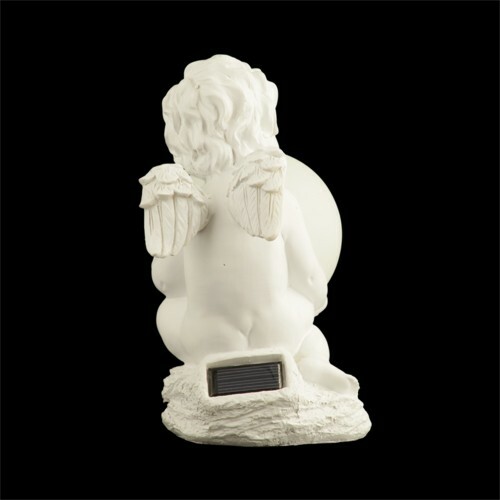 During the day the sun will charge the install battery then at night this solar angel light will automatically come on.